"Hole-Man," by Matt Bondurant, in Dallas Noir, edited by David Hale Smith, Akashic Press, 2013. 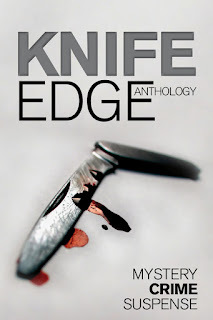 "The Hotel des Mutilées," by Jim Williams, in Knife Edge Anthology, Marble City Publishing, 2013. Earlier this week I read a review written by a man who normally deals with nonfiction. This piece was about a novel and he ended with a variation of that phrase so familiar from fifth grade book reports: "To find out what happens next you will have to read the book." I shook my head at that amateur effort, but now I am feeling some sympathy. I can't tell you much about this excellent tale by Jim Williams without giving away the store. So forgive me if I keep it brief. It's Paris between the wars and our narrator meets an American in a bar who says he is a writer. The narrator explains that he fixes situations, no details given. The writer, who calls himself Scotty, asks him to talk about the most fascinating person he ever met. So the fixer talks about a guy he met in World War I. And that's where I have to stop, lest I say too much. This is one of the stories where the joy comes in figuring out what's going on. For me, the enlightment came in three distinct bursts, about three different characters. To find out what happened... oh, you know. So: what's a mystery story? People who don't read them think they know. A mystery is a story in which someone gets murdered and a detective looks for clues, talks to suspects, and reveals the killers. Easy-peasy. People who actually read mysteries know that that was a pretty good description of the field in 1922. Since then it got a little more complicated. Otto Penzler describes a mystery (and I am paraphrasing) as a astory in which crime or the threat of crime, is a major element. And that indeed covers P.I. stories, suspense, inverted detective stories, and other tales that don't fit the first description. Unfortunately, it also covers The Scarlet Letter, Hamlet, Oedipus Rex, and The Brothers Karamazov, none of which most people would consider mysteries. So there is something missing, maybe an attitude thing, that separates crime stories. All of which is my way of explaining that this week's story barely qualifies for my field. 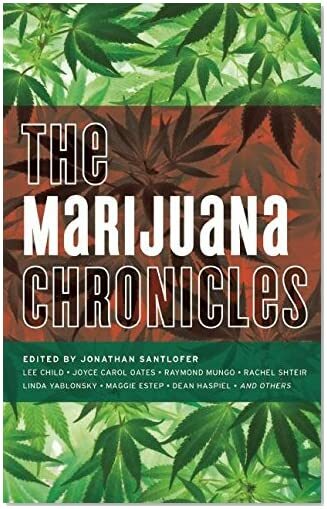 After all, this book doesn't promise stories about crime; just stories about pot. I suppose you could argue that if drugs are illegal then all stories about drugs are crime stories, but then we get into that attitude problem again. So why am I reviewing this story? Because it is so good, that's why. Here's the opening. The initial quantum fluctuation that burst forwrd to create this universe implanted particles prgrammed, in years nine to fourteen of a human girl's life, to flood the neural regions and saturate her suggestible self with one single, rabid desire: to become an actress. The narrator describes her experiences at age fourteen taking lessons from Ian and Caroline a perfect Californai-style couple in New York who specialize in drama lessons for teenagers. They want to know what deep-secret agonies their students are concealing, so that they may build their acting skills out of them. And our heroine finds herself lacking: "I was furious that my parents didn't pull out my hair or toss me from windows." Of course, she has a deepset problem and that is the insecure need to please Ian and Caroline. Especially Ian. And Ian figures she can reveal her deep secrets if she only tries some pot. Or how about cocaine? So if there is a crime here it is an adult man giving drugs to a fourteen year old girl. And certainly there is the not-so-hidden reason he wants to get close to her. If this was a standard crime story something nastier would happen. But I am happy with the way it turns out. Last night the Wolfe Pack held their annual banquet in honor of Rex Stout and gave the Black Orchid Novella Award to Susan Thibadeau for "The Discarded Spouse." The winning novella will be published in Alfred Hitchcock's Mystery Magazine in 2014. I won last year and I wish I could have been there in person to pass on the tiara and sceptre to Susan in person, but I am sure she had a great time without me. Congratulations! "The Waverley Knees," by Ray Banks, in Noir Nation 2, edited by Eddie Vega, 2013. What I like best about this story, I suppose, is its central conceit: that to a homeless guy on the sidewalk, the good citizens passing by are just a collection of knees. Living down here, the knees were all you saw, and they saw little of you. they were international -- those trousers had a German accent, that skirt was French, those massive backpacks over there were probably Dutch or whatever language it was that sounded like English in reverse. Grizzly is the homeless guy, stuck in front of Waverley Station in Edinburgh with his dog Winston. Except Winston used to belong to someone else, which is where the conflict comes in, and gives Grizzly reason to get up off the sidewalk and, in true noir style, try to accomplish something. But, in true noir fashion, there are no happy endings. M.H. Callway, Donna Carrick, and Joan C. O'Callaghan, Carrick Publishing, 2013. What we have here is a collection of crime stories by Canadian women. So far, this is my favorite. It is an example of what has been called "geezer noir," which seems to be a growing field as my fellow baby boomers head into retirement. Not that this particular example is exactly noir. The setting is the Cottonwoods Condo, a senior residence, and home to Bessie Bottomly. A few days after she is hospitalized with a broken hip her neighbors realize that no one is taking care of her worms. She raised them to make compost for the building's plants. The Sisterhood rushes to form Operation Worm Rescue, but it turns out that there is one resident in the Condo who is not a fan of invertebrates. Can the Sisterhood save the worms? Each of these ladies has a distinct personality, and their own way of talking. I like 'em.